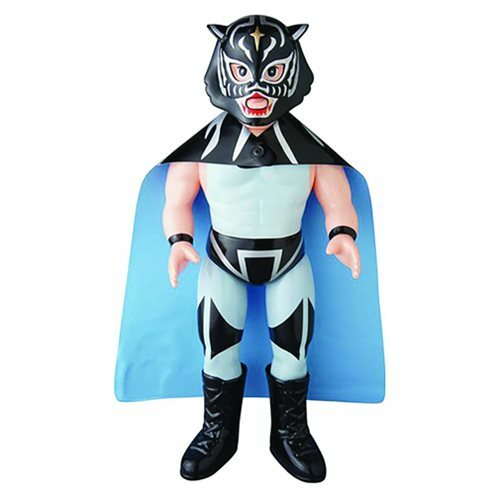 Shopping for Sports: Wrestling Vinyl Figures? Stalk your wrestling foes like a pro! The Black Tiger is wearing his mask and cape. This Original Black Tiger Sofubi Vinyl Figure measures approximately 10-inches tall.